This stainless steel water bottle is insulated to keep liquids hot for 12 hours and cold for 24 hours. 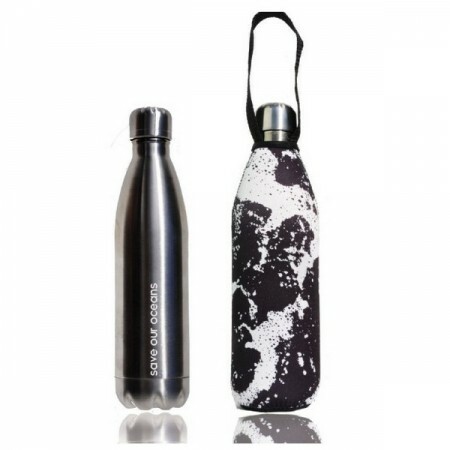 Silver stainless steel bottle with black and white coloured whitewater image on neoprene sleeve. 1 Litre. Buying this product = 55 Reward points for Members. Your cart will total 55 points = voucher of $2.75. Not a Member? Join at checkout to claim these points. 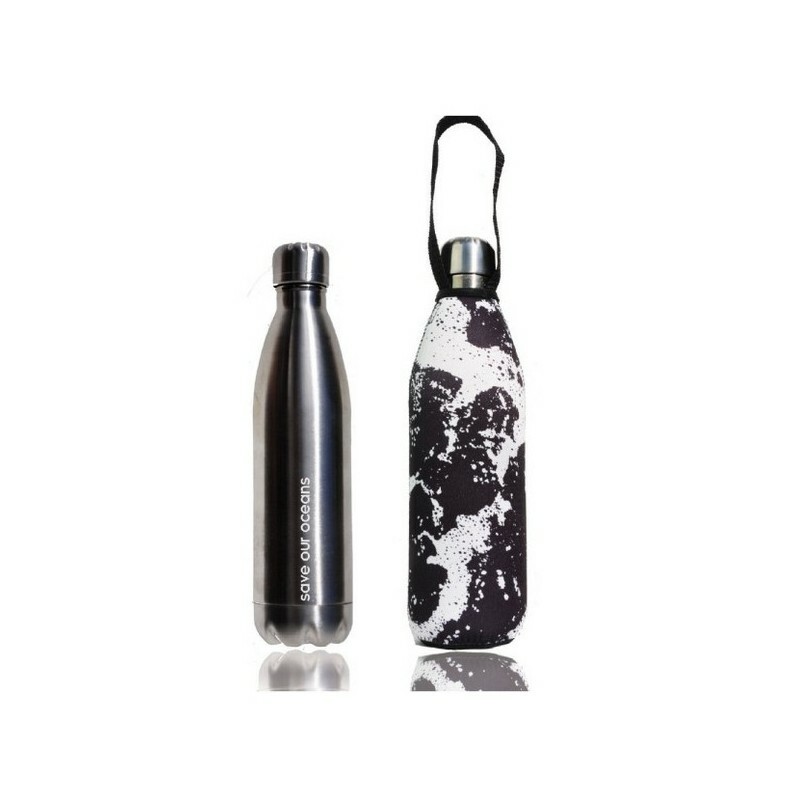 Bottle is silver with a black and white whitewater design featured on neoprene sleeve. 32cm x 9cm. Highest Grade 18/8 Stainless Steel and neoprene sleeve. I was dismayed by this product's performance. It does not keep contents hot nor cold for more than a couple of hours at the most. I purchased a kleen kanteen water bottle for my parter a year before purchasing this bottle. We were truely amazed at how well the kleen kanteen insulates. I was so jealous of my partners water bottle I purchased this bbbyo water bottle for myself (I did not get a kleen kanteen because at the time of purchase there was only the one colour kleen kanteen bottle in the size I wanted available, and it was the same colour as my partners). I bought this water bottle instead and its no better than any other uninsulated bottle on the market:( plus the outer covering and narrow design makes the bottle fall over if placed on even the most slightly uneven surface.